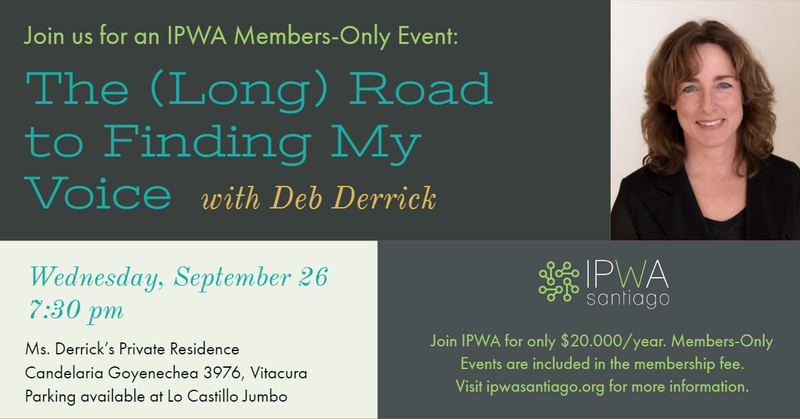 IPWA members are encouraged to attend our upcoming events. See you there! Join us for the awesome and interactive 90-minute workshop to uncover your unique story. Take away actionable steps to share your authentic brand and attract your success partners! Michelle is a seasoned Leadership and Personal Branding Coach. She’s dedicated to helping people leverage an emotionally intelligent Personal Brand — the best accelerator for success. 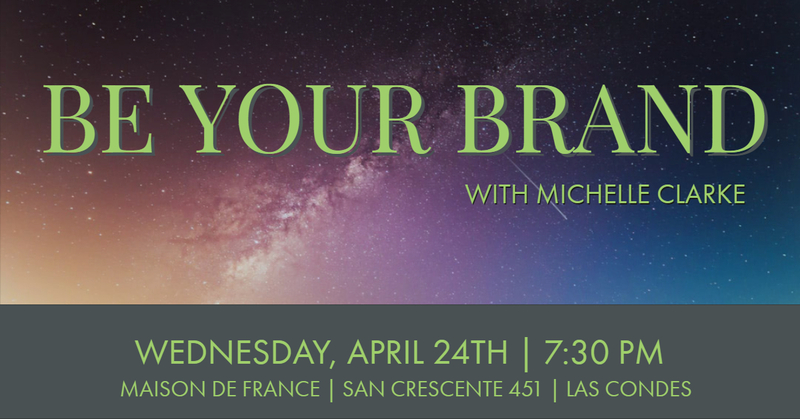 Michelle’s own personal branding allows her to hit the road regularly, travel the globe and deliver thought leadership, training and workshops designed to help people become better leaders. The International Professional Women’s Association is a volunteer-led association run by an Organizing Committee of women from different professions and nationalities. The committee is divided into different teams responsible for events, membership, marketing and communications, finance, and special projects. To be the hub for internationally-minded professional women in Santiago. To connect professional women of all backgrounds and develop their skills. Originally from South Africa, Michelle has called Santiago home since 2014. 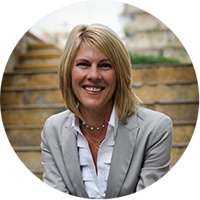 Michelle is a Global Leadership and Branding Coach who works with English-speaking leaders and teams in Chile as well as internationally. She is the founder of www.motivcoach.com. Michelle is also an improvised acting trainer at Improv Santiago, an avid storyteller, a yoga devotee and a student of the slackline. She strongly believes in the power of a network of other like-minded woman and welcomes all international professional women in Santiago to IPWA. Suvi Lemetyinen was born and raised in the cold Nordics, more accurate, in Finland. She has lived in Santiago for total of five years and worked in projects and public relations in the nonprofit sector. On her free time, she enjoys theater, cooking, trekking and traveling when possible. She loves to see professional women inspiring and helping each other out to achieve their goals. She is the current secretary of IPWA and participates in the committee of the mentorship program. Kristin Lorenzo is the current Treasurer of IPWA and is part of the committee running the IPWA Mentoring Program. She has been happy to call Santiago home since 2013 when she moved here from Boston, MA. While past work experience includes 14 years in the financial services sector both in the US and Chile, in 2017, she made a leap of faith to the technology sector where she currently is a Product Manager at Nisum Technologies. In her free time, she participates in improv and book club in addition to being an active member in her MBA alumni association. Contact Lauren if you have any ideas for future events or would like to be considered as a speaker. Laura Mayer is originally from Argentina and, in the past ten years, has lived in three different continents for professional and academic reasons. She has been on the IPWA committee since April 2018, when she joined to help with the coordination of the IPWA events. 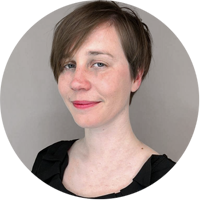 Laura is an energetic Human Resources professional with a background in Business, who currently works from Santiago as Project Manager for a prestigious UK-based leadership and coaching consultancy. Contact Laura if you have any ideas for future events or would like to be considered as a speaker. Stephanie Millner is originally from New Jersey, but has lived overseas for the past decade. She is an internationally award-winning and certified Master Photographic Craftsman (M.Photog.Cr., CPP) specializing in portraiture. Stephanie is internationally recognized for her work in studio pet portraiture, for which she has garnered much acclaim. Having worked in the photographic and graphic design industries for nearly twenty years, she brings a comprehensive branding & marketing background to the IPWA committee. Stephanie is a big fan of photography, travel, and working with animals. Her work can be found online at stephaniemillner.com. 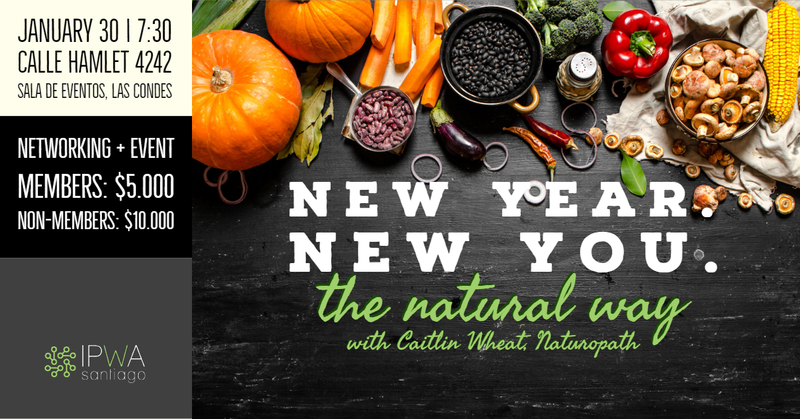 Caitlin is an Australian Naturopath with a passion for helping people remove illness as a barrier to living their best lives. She studied holistic nutrition, health coaching, herbal medicine, Australian Bush and Bach Flower essences, yoga and meditation and loves combining the holistic nature of naturopathy, with the science of biology, chemistry and nutrition to get the best of both worlds. Her specialities include digestive problems and helping busy people reduce stress and improve energy through her workshops and courses. 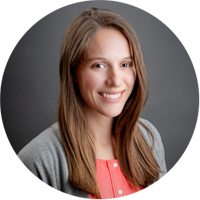 Originally from the USA, Clare Bogdanowicz recently moved to Santiago, Chile in June 2018. While not her first time living abroad (she lived in Japan from 2013-2015), this is Clare’s first time living in South America. Hoping to get involved and connect with like-minded women, she joined the IPWA committee. A criminal defense attorney by trade, Clare is thrilled to be using her interpersonal and writing skills to further the mission of IPWA as a content editor. In her free time, Clare loves to cook, hike, ski, travel and spend time with her husband and golden retriever. For 2018, IPWA is pleased to make a broad range of programs available to IPWA members: Coaching, Mentoring, and Volunteering. 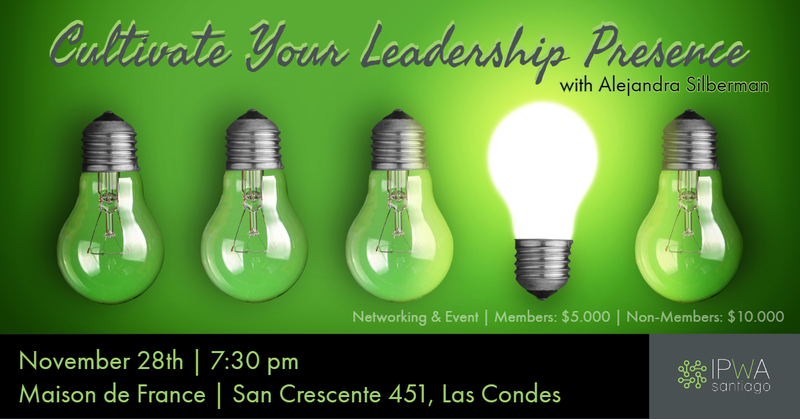 To take advantage of these opportunities, sign up to become a member by emailing secretary@ipwasantiago.org. We are very excited to offer members the opportunity to participate in our annual IPWA Mentoring Program! The 2018 program started in May will run for 6 months finishing in November. Look out for how you can participate in next year´s program in early 2019. This program is designed for IPWA members in good standing who want to gain a career advantage and maximize their learning opportunities. Our program is suited for professional women with a variety of professional development objectives, such as: building a strong network in the local community, advancing their career, exploring a career change, becoming an entrepreneur, among others. Mentees selected for the program are matched with a mentor who provides support as the mentees work towards their goals. The monthly time commitment for the program is two to four hours per month, depending on how active you and your mentor or mentee are. We recommend that at least one interaction per month is done in person. The rest of the interactions can be done in person, by phone, skype, or email. In addition, we run four events: a mentor training session, kickoff, mid-program activity, and closing event. …with a growing number of professional women in Santiago. Sign-a-New-Member: Enjoy one free event for yourself. Reduced Entry-Fee for your guest at their first IPWA event. First Event is Free. Bring a Friend! Join IPWA today by contacting secretary@ipwasantiago.org. Payment may be made through bank transfer or in cash at the next event. Regular events usually take place the last week of every month. 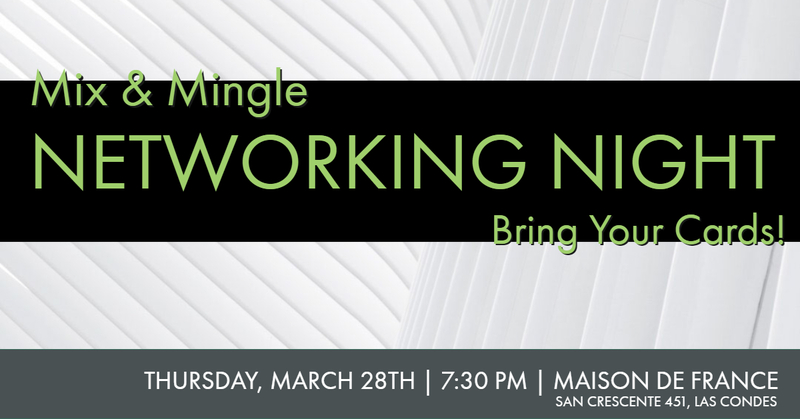 Formal presentations are complemented by social events where we invite you to come and network for the whole evening. Make sure you are signed up to the mailing list to receive information about events. Send an email to secretary@ipwasantiago.org to sign up. 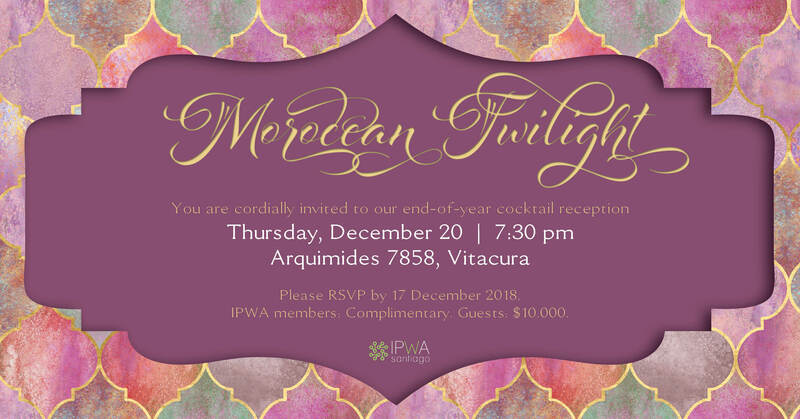 IPWA hosts an End-of-the-Year party in Vitacura to wrap up the 2018 season. See you next year! 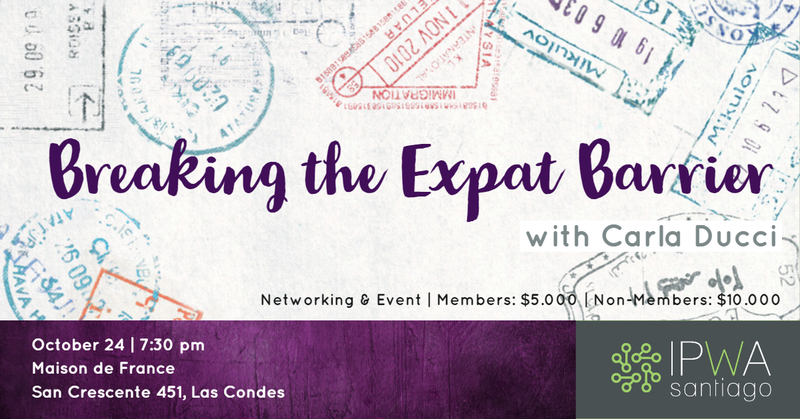 Carla Ducci discusses the ups and downs of Expat Life in Chile for women. Deb Derrick speaks about her career, her books, and her life story. Upon returning to Chile after 4 years away in Australia and following a career change, I was anxious about my job options. Luckily, the mentoring program started at the right time in 2017 and after the first session, I was paired up with Lilian. She provided guidance and straight forward advice about my next steps. She put an emphasis on updating my network, particularly LinkedIn, which was my weak area as I felt that I had been outside of the corporate world for a while following the birth of my children and returning to study a few years earlier. Pushing myself in the area of technology has been difficult but I am on the right road! By coincidence, I found a job (via networking!) in the same building as my mentor, so now we can meet for regular catch ups. I was pleased that from the first mentoring session, I was matched to Lilian as she worked in the sector that I was looking to enter so as to give some real time advice. She was also an expert in her field and has an interest in empowering professional women which is a great combination. I would definitely recommend the IPWA coaching program for anyone who is looking for inspiration and guidance to maximize their professional potential! At the beginning of 2016 I took a major decision for my professional career and was determined to work as an independent development consultant. I had no previous experience working as an independent and naturally I had a lot of questions and doubts. As an IPWA member I got aware of the possibility to join the IPWA coaching program and got selected. The coaching sessions gave me concrete tools to use in my professional life and the sessions also gave me the sufficient amount of emotional balance that, to me, was just as important to shine in an increasing competitive labor market. In the four months that I was part of the IPWA coaching program I have discovered more about my professional potential than ever. I have successfully established a solid professional network and I have reached the first of many goals and am now involved in different project as an independent development consultant. Ready to join IPWA? Have questions? Just want to say, “Hi”?